A question we are asked a lot here at Chimu is when is the best time of year to visit Peru? Peru sits in the Southern Hemisphere close to the equator, and seasons do run accordingly. Peru is a large as well as a diverse country, and as such where you are visiting plays a large part in when the best time of year to visit. We have broken this one down into three regions most visited by tourists so you can get a good idea on when the best time to travel to Peru is..
Coastline of Lima by night. Photo credit: Shutterstock. Visitors to the coast will benefit from dry weather pretty much year round as Peru’s coastal region is the northern extension of the Atacama Desert. The cold Humboldt Current that travels north from Antarctica to the Galápagos Islands provide Peru’s coast with a dry, relatively stable climate. Year round coastal temperatures rarely dip below 15 degrees and even in the height of summer the capital Lima has a temperature of a bearable 28-30 degrees centigrade. The northern coast around Trujillo, Piura can have temperatures in excess of 40 degrees centigrade and probably not the best time to visit during the summer months of Dec- March if you are heat sensitive. For the rest of the year the coastal region is often shrouded by what is known to locals as the ‘garua’ or belly of the donkey. This is low lying cloud that sits just above the coast and sunlight can be hard to come by for the 8 months (April- November) when it is present. With most tourist sites in the country being located in the central and Southern Andes, and Machu Picchu being one of the highlights of any trip to the country, it’s not uncommon for travellers, to search for the best time to visit Machu Picchu or best weather in Cusco for example. The Andes begin to get wet around October and the wet season runs officially from November through to March. Over the past few years global warming has had an impact on the Andean region with rainfall being less consistent and in some areas non-existent. This has caused some issues for local farming communities, who rely on the heavy rains to plant their crops – mainly maize, potatoes and Andean grains such as quinoa. The dry season runs from May to September and the period of July/August is the time where tourism in Peru is at its peak. The time with the driest weather in the mountains is during the northern hemisphere summer holidays. If looking to avoid the crowds March/April is a good time as well as September/October. In March/April you may catch the end of the wet season, but this is also when places such as Machu Picchu are at their lushest, the cloud forest has cloud, and many flowers such as orchids are in bloom. September/October is also a good time to visit, still the shoulder season and probably drier than earlier in the year. The same goes for the region of Puno and Lake Titicaca and to some extent, the ‘white city’ of Arequipa. Coincidently these two periods are some of the best in the southern Patagonia region of Chile and Argentina, so if combining Peru with Patagonia then this is a perfect time to get away. Peru’s Amazon can get pretty wet most of the year. Being part of the world’s largest rainforest does mean that you can expect rain pretty much anytime! The wettest time is generally the same as the Andean regions (ie November to March). 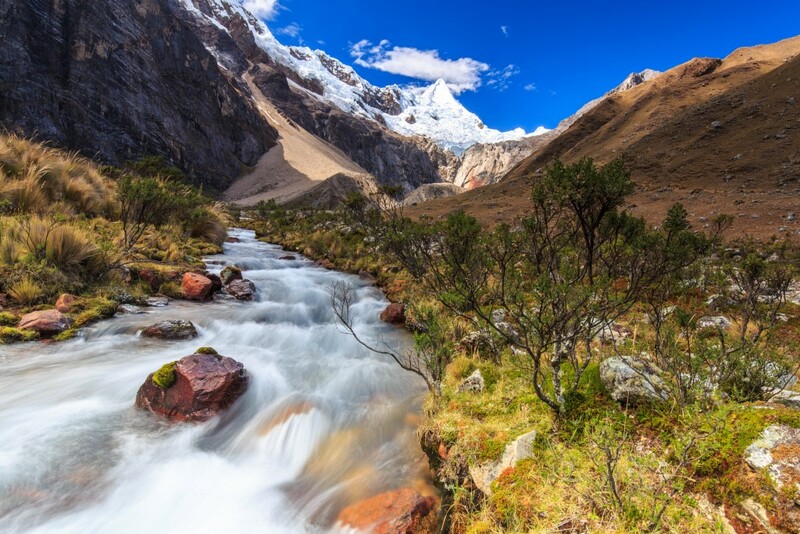 This is also when the river runs wild when the rainfall from the mountains combines with the summer melts of the snow caps and Andean glaciers. In areas of the Amazon such as the Pacaya Samiria National Park in the Iquitos region the water level can rise up to 20 metres such is the impact of the rains. Also, in the popular Tambopata National Park the river can get very fast flowing, and result in a bumpy ride up or down river to your lodge. If heading to the northern Amazon around Iquitos it is a good time to visit during ‘the wet’ however if planning on visiting the Southern Amazon, then best to head there May – October when the river is a little less wild! Please note this is a rough guide of when the best time to visit Peru is, in regard to the weather. 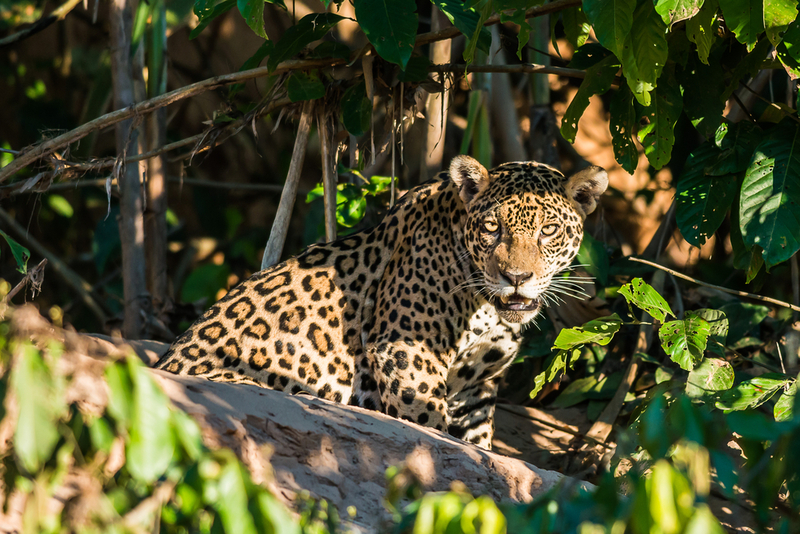 If heading to the Amazon for example there are better times for certain species so check with your destination expert if you have any questions. The best time to visit is generally similar to the best time to visit Ecuador or the best time to travel to Bolivia, as they share similar topography and regions. Whatever time of year you choose to tour South America you will not be disappointed. It is a year round destination with something for everyone, year round. Inspired to explore Peru? We offer unforgettable trips to Peru. Click here to scour our range of fantastic tours and let us take you to South America. Click here for more information about Chimu Adventures.